Home offices have their uses, but they carry some real drawbacks. Whether you're a remote worker or need a change of pace, a coworking office offers everything you need to take your business forward. Not convinced? 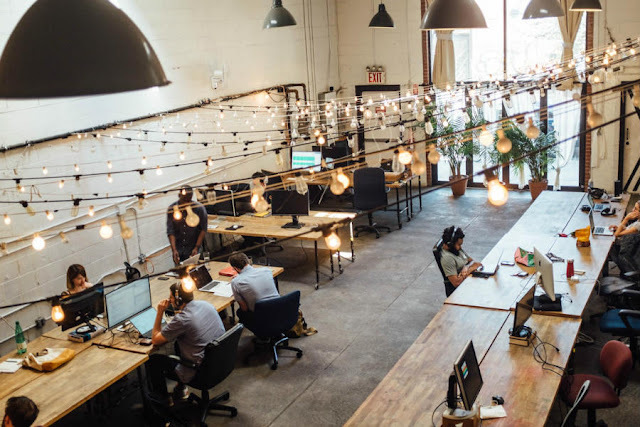 Read on for six reasons you should consider a coworking office. Office space is one of the largest fixed expenses for most businesses. Space in New York City now costs $67 per square foot on average! Coworking offices allow you to avoid the full costs of running your own office. As well as rental cost, furnishing an office is a startup cost any business will be glad to avoid. Networking is vital to the success of your business, especially if you're just starting out. By sharing space, you'll be working alongside other entrepreneurs and businesses. You can use these contacts to find partners, contractors, and even customers. You won't need to put extra effort into networking. Useful contacts will be all around you. Clients want to work with a successful business. Even if you are starting out, it's important to look successful. A coworking office allows you to appear larger than your business currently is. A home address doesn't impress clients. An expensive zip code will. You can get similar results with a virtual office. For example, if you want an address in central London, you can rent one from Hoxton Mix virtual offices. Sometimes, unlimited freedom can be a curse. If you have spent most of your life working regular hours, then losing that structure can be hard. Coworking offices help you maintain that routine. You are still commuting to an office environment, surrounded by other workers. This will help you get into the work mindset every day, even if you only work for a few hours. Phone and email are great tools, but sometimes you need to meet face to face. If you're working from a home office, this can be a problem. Coworking allows you to avoid this headache. Conference room usage is standard in coworking offices, and you can book them out as needed. You may also need to bring your whole team together at times. A home office won't have the facilities you need. If you plan to grow your business, then a fixed term lease is too restrictive. You don't want to be paying for space you don't need right now, or stuck in too small an office. Coworking offices are designed to be flexible. As your company changes size, you can respond by adding more desks as required. As you can see, a coworking office is a perfect fit for many businesses. You get all the facilities you need, at a fraction of the cost of a traditional office. Coworking also allows you to keep the benefits of traditional offices without locking you into any long term commitments. If you found this post useful, then check out our other business articles. We have tips and advice to help you get the best for your business.